Indigenous education was a key component of the 2017 Garma Festival recently held in North East Arnhem Land. The festival, held from 4-7 August 2017, brought together about 2500 people to discuss key Indigenous issues with a focus on constitutional recognition and ‘makarrata’ – the Yolngu word for solving our differences. Students from Nhulunbuy and Yirrkala schools attended the Education Fair alongside a number of other students from across the NT and interstate. Organised by the Yothu Yindi Foundation, the fair focused on teaching a cultural curriculum with students learning about Yolngu language, culture and seasons as well as traditional resolution processes. The Education Forum brought together a number of speakers to discuss the challenges, opportunities, improvements and achievements taking place in Indigenous education. 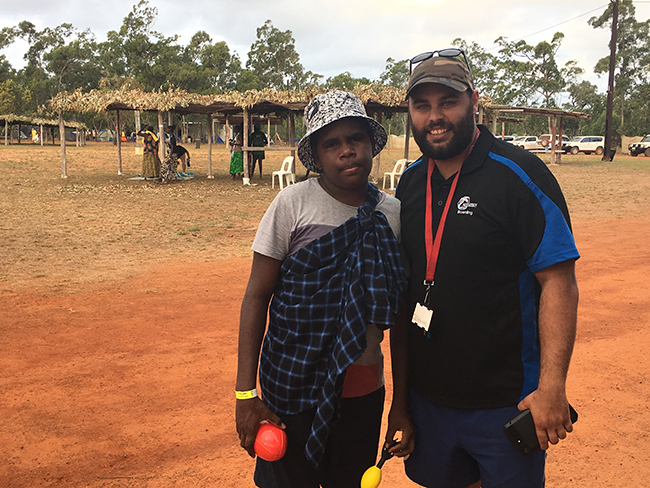 Nhulunbuy Boarding, house parent Cory Atkinson, who is also a Yorta Yorta man from Victoria, spoke as part of the young Indigenous panel about the importance of culture and education. “For our kids we need culture to be at the forefront of their education for them to succeed and get the best out of their education,’’ he said. Education Minister Eva Lawler and Department of Education Chief Executive Vicki Baylis both spoke at the forum about their vision for the NT to be the most improving education system in Australia. “It’s about working in partnership and inviting participation from our families and community groups,’’ Ms Baylis said. “We want everyone to be engaged - our teachers, students and their families. We all have a role to play in providing our children with rich learning experiences and opportunities. The Indigenous Education Strategy was well-represented with a stall at Garma to highlight and promote some of the key projects and actions. Educators from the Arnhem Region’s Families as First Teacher (FaFT) programs also set-up a community learning hub for families attending Garma to have an interactive learning experience.